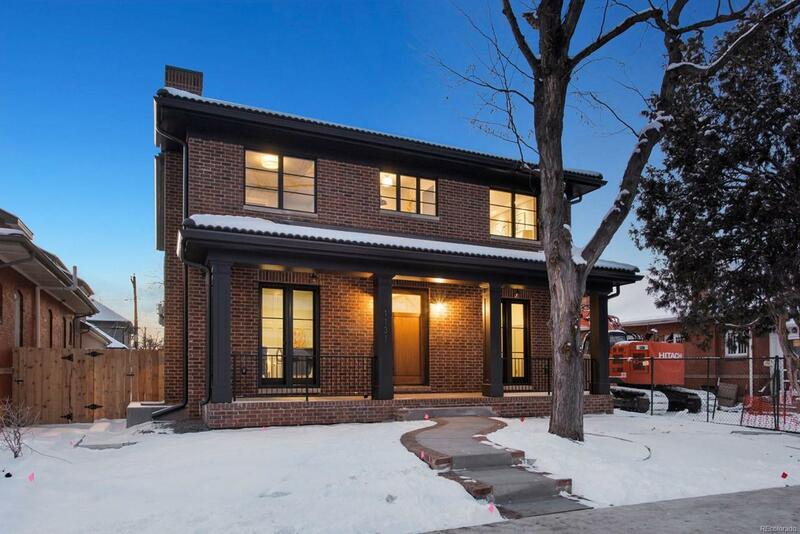 A rare opportunity to own this East Wash Park Denver Square inspired home. Featuring a clinker style brick exterior, this home nods to the past, blending traditional craftsmanship and materials with playful contemporary fixtures and design all walking distance to Washington Park and the Gaylord Shopping district. Inside, thoughtful custom woodwork can be found throughout. Extensive use of marble in the kitchen and butlers pantry create a timeless design that is complimented by the best of Crystal Cabinetry with Wolf, Sub Zero, & Asko appliances. Upstairs, the master retreat features a fireplace, sitting room with wet bar, custom woodwork, and marble clad 5 piece master bath. In addition, the upper level features 3 additional bedrooms and two bathrooms. Downstairs, the basement has a second family room, a full bar, a full bath, future wine room, plus two additional bedrooms, one is staged as a workout room. Enjoy the west facing covered back patio, a rare treat for Wash Park homes.